Click here for a compact table with the top 100 matches. The images below show the motif residues and the match residues superimposed. 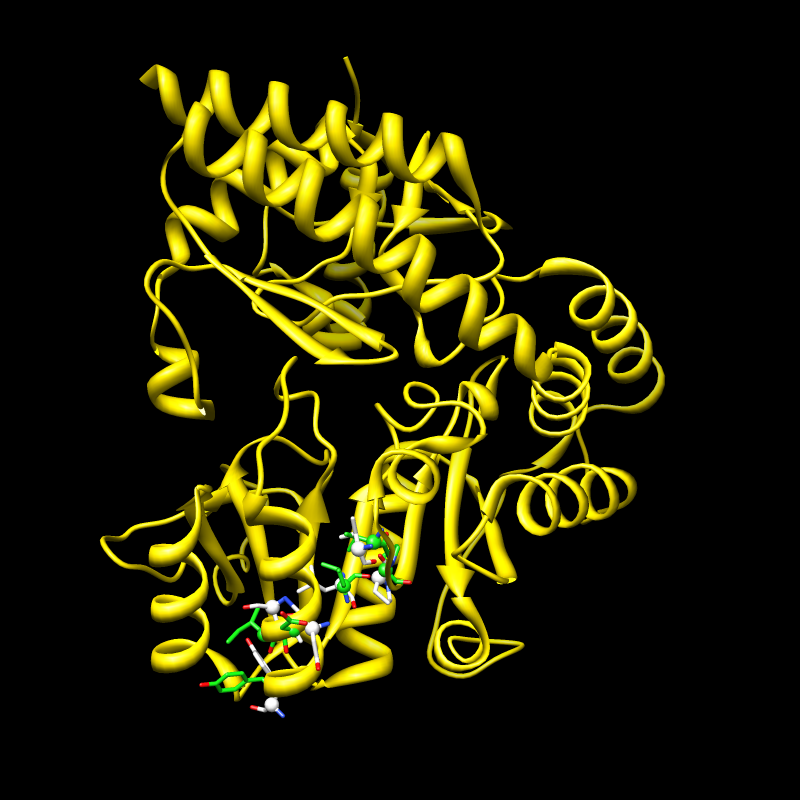 The carbon atoms are white in the motif and green in the match. 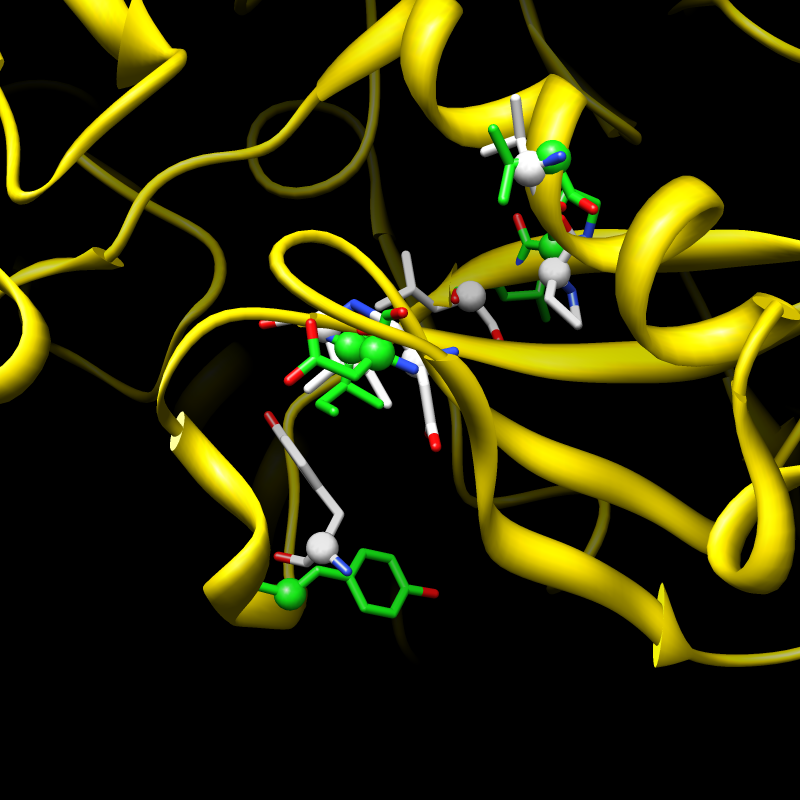 Other atoms in the motif and match are colored by element. The C-alphas are shown as spheres, while the remaining motif and match atoms are shown in stick representation. 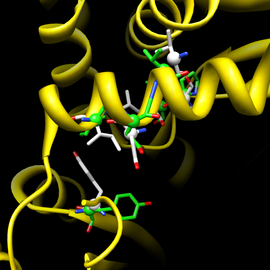 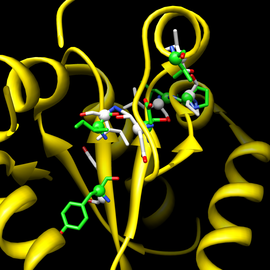 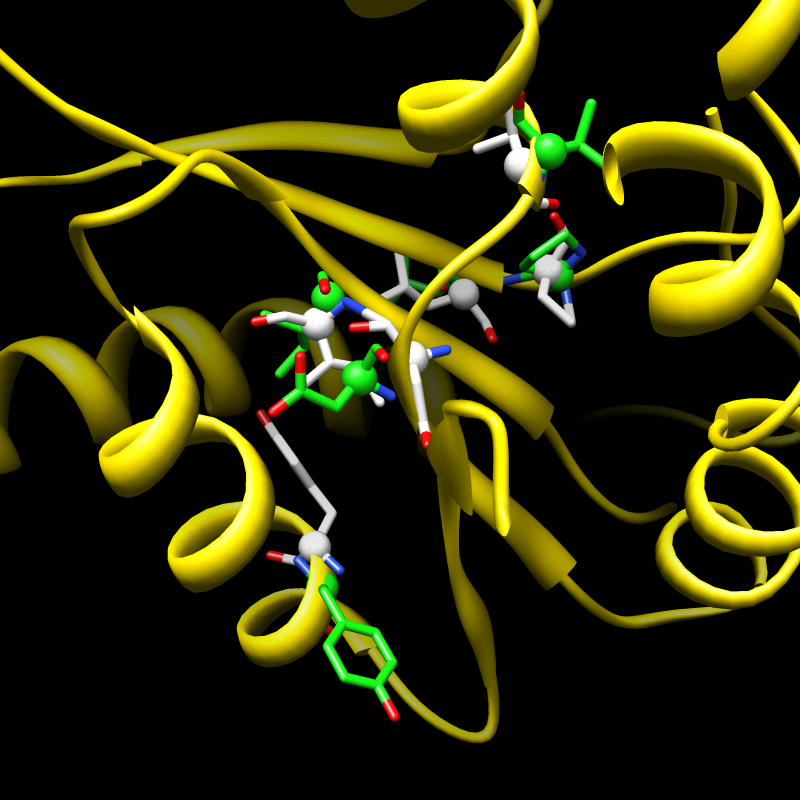 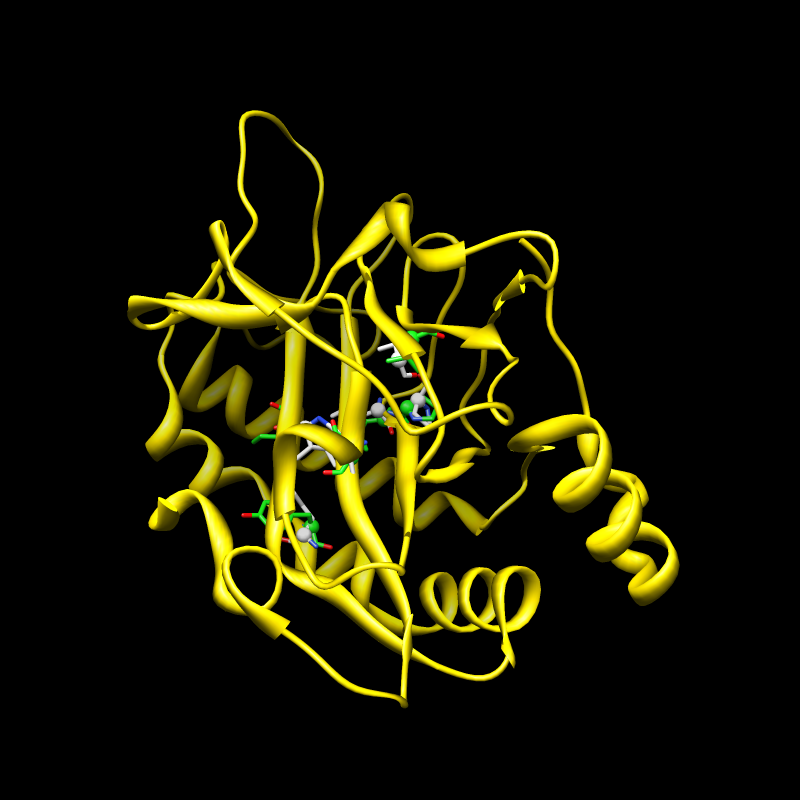 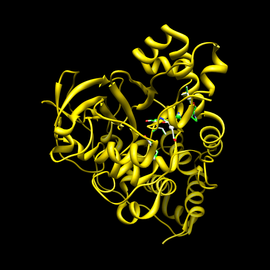 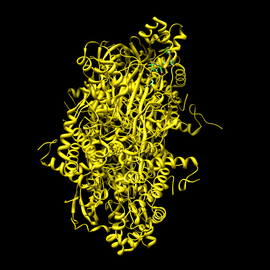 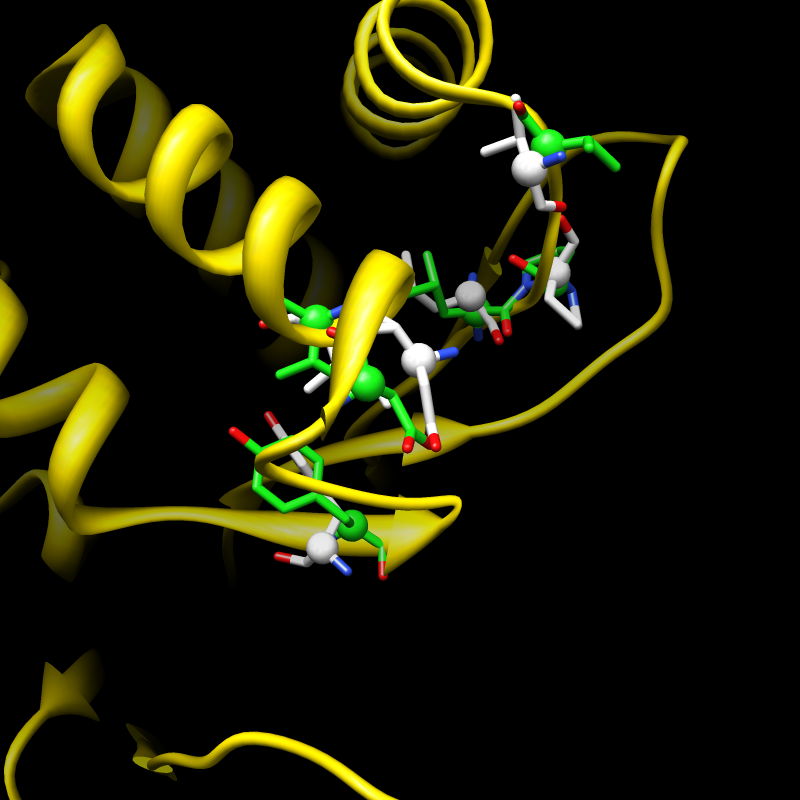 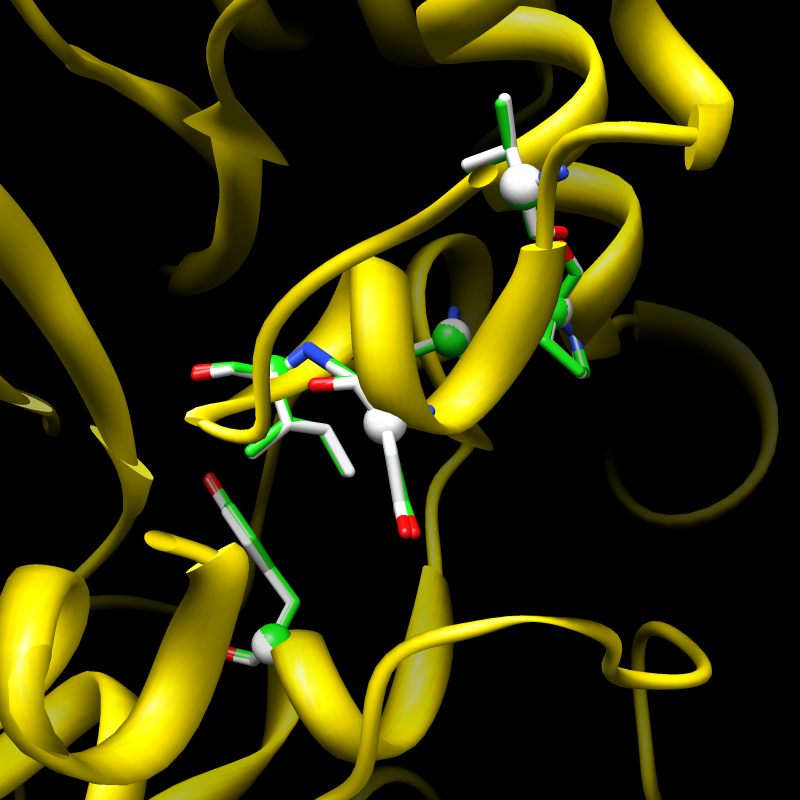 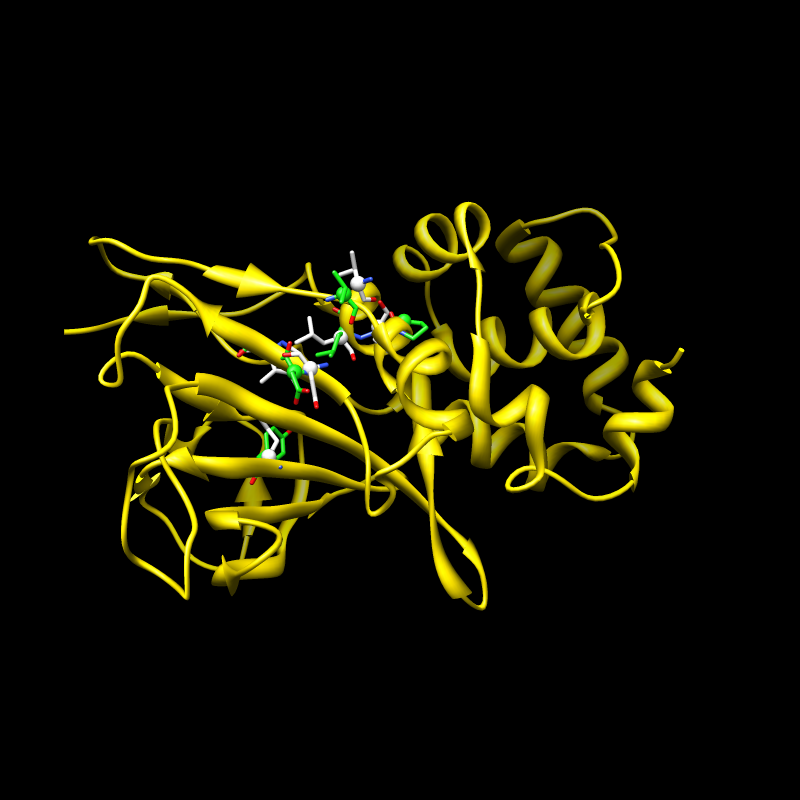 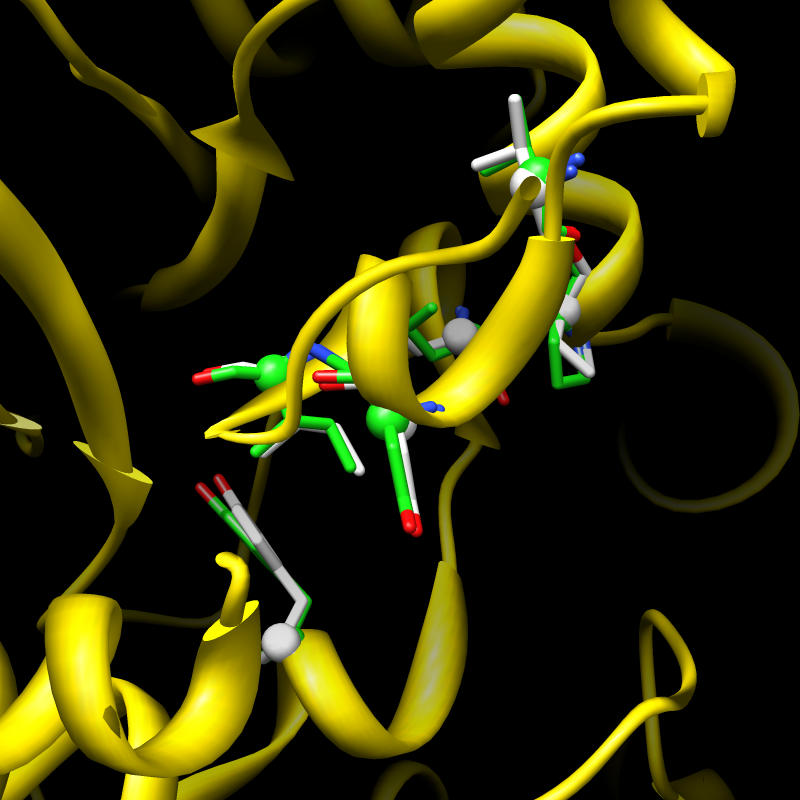 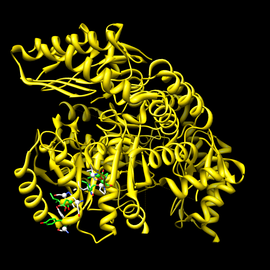 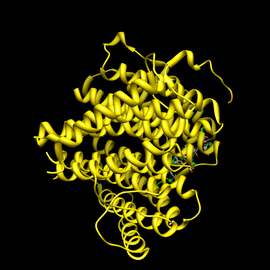 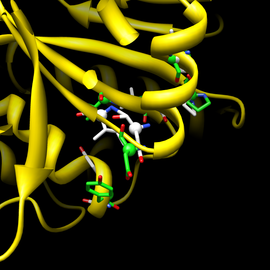 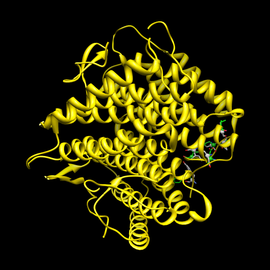 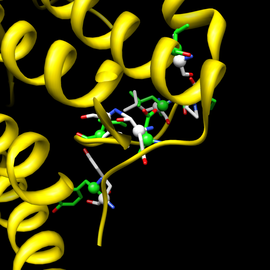 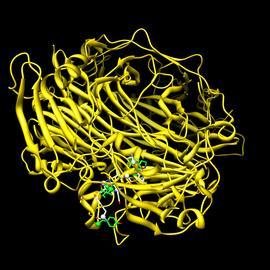 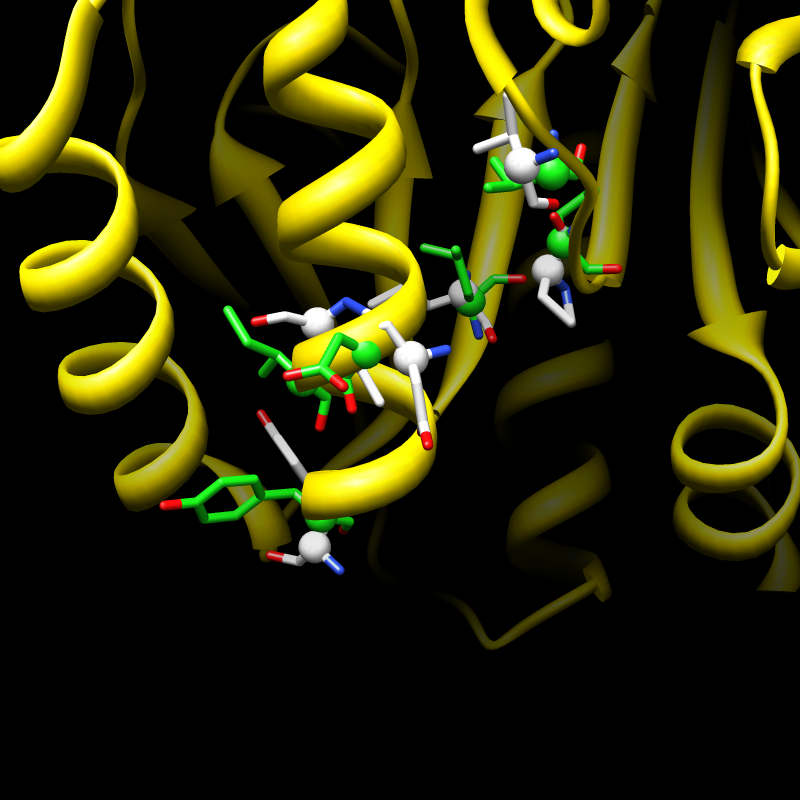 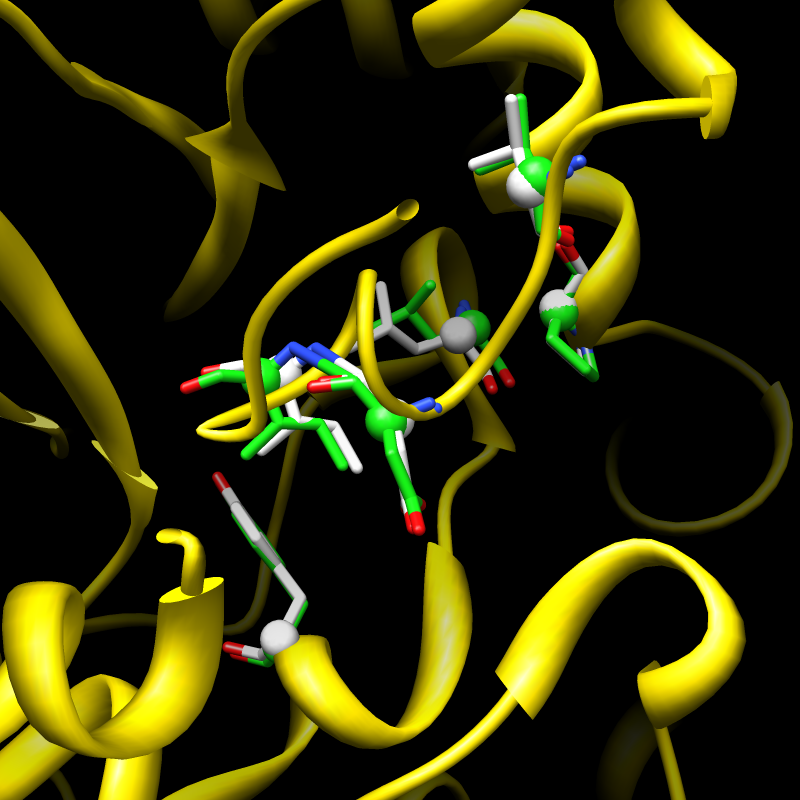 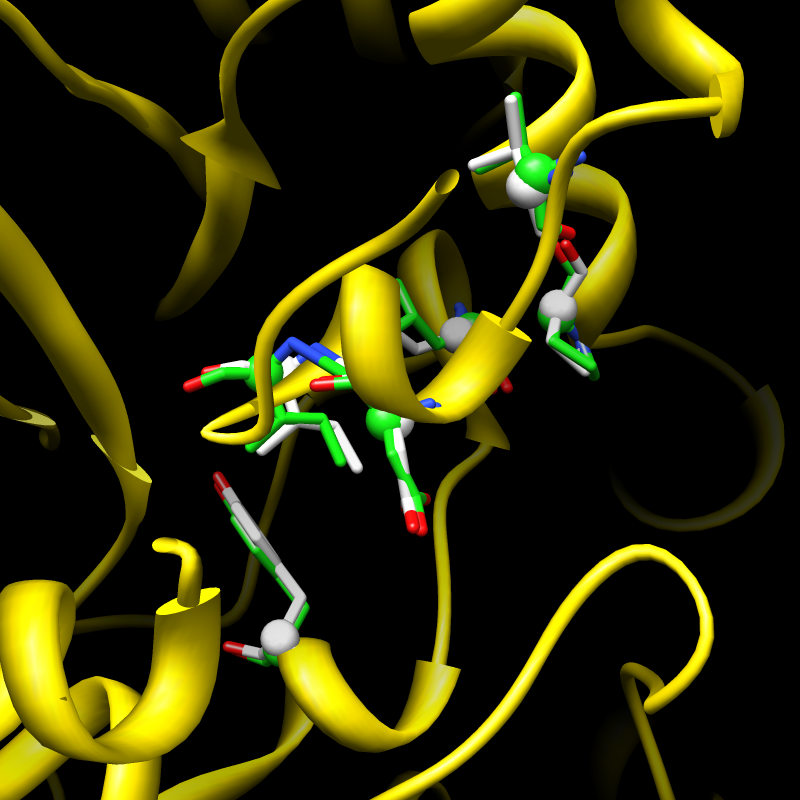 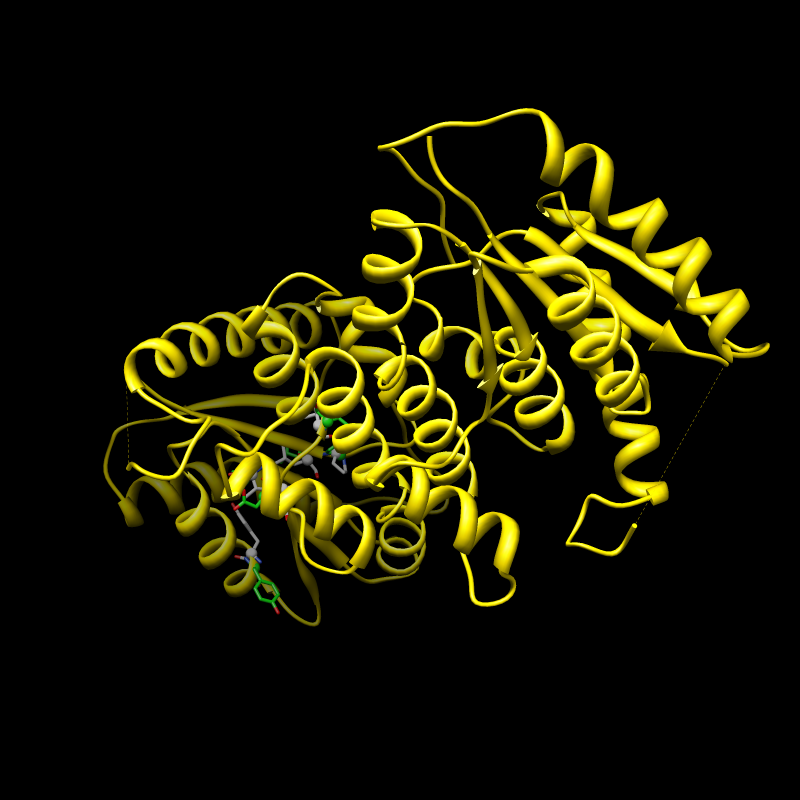 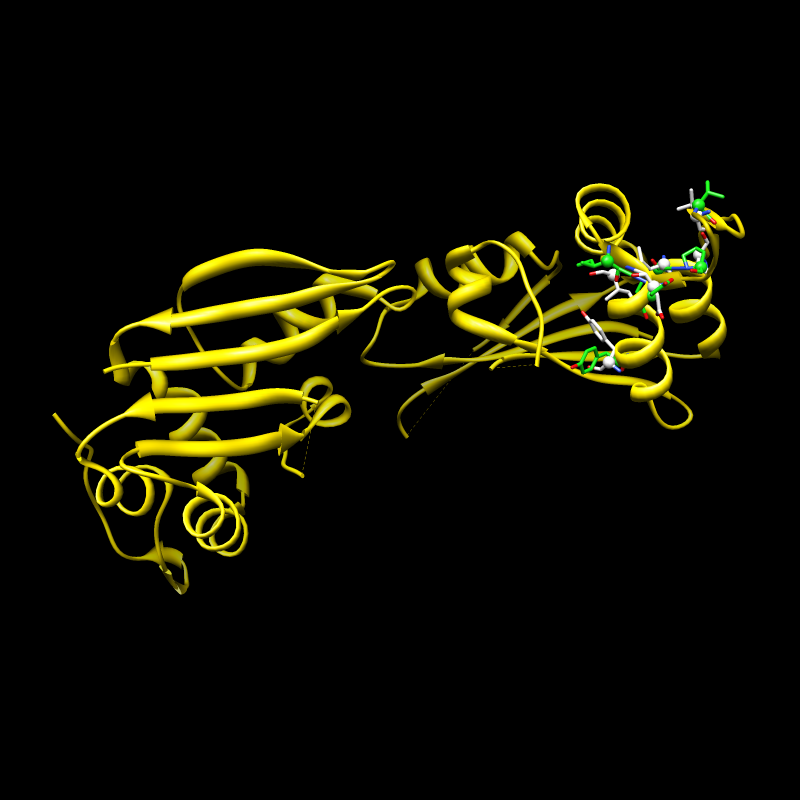 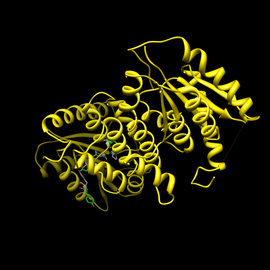 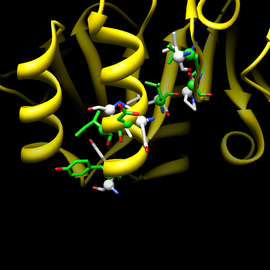 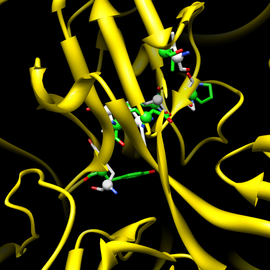 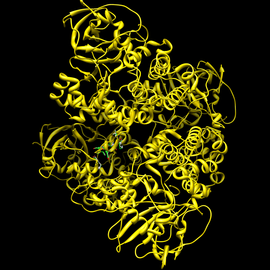 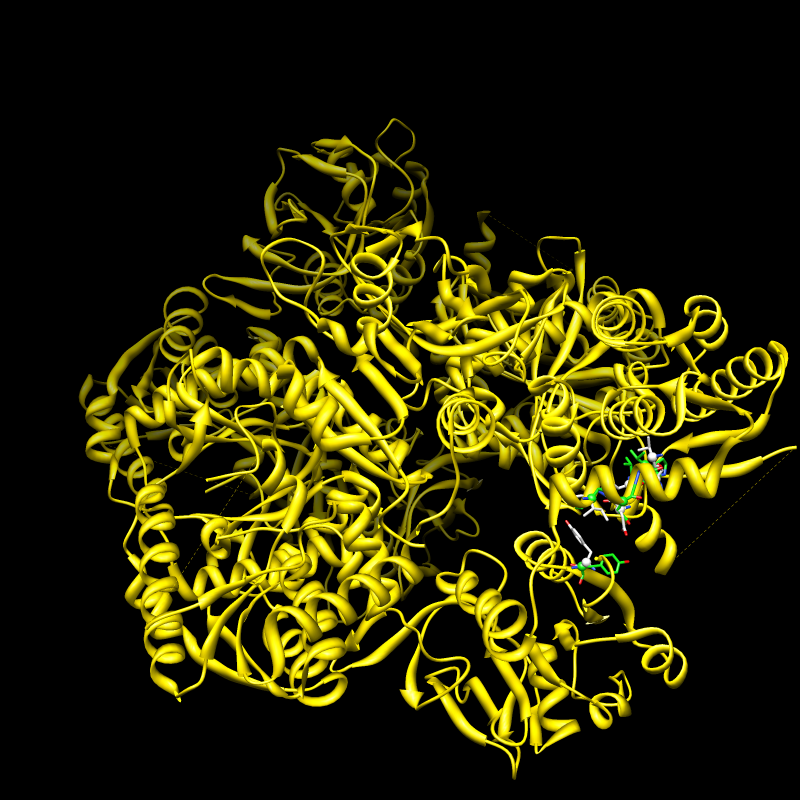 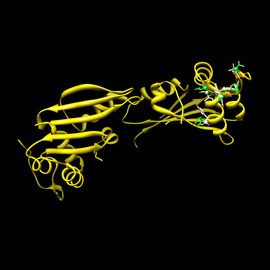 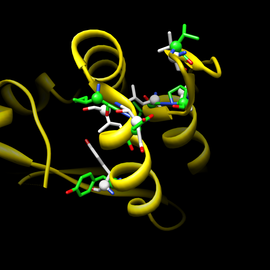 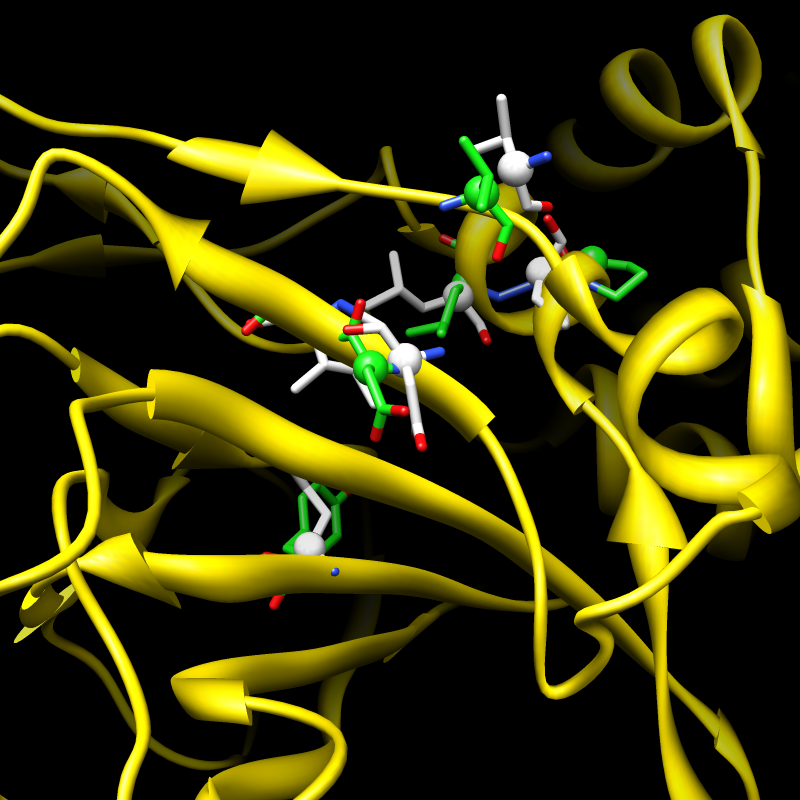 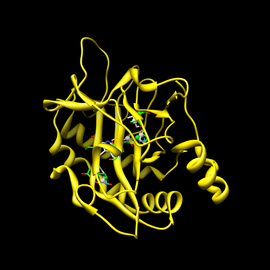 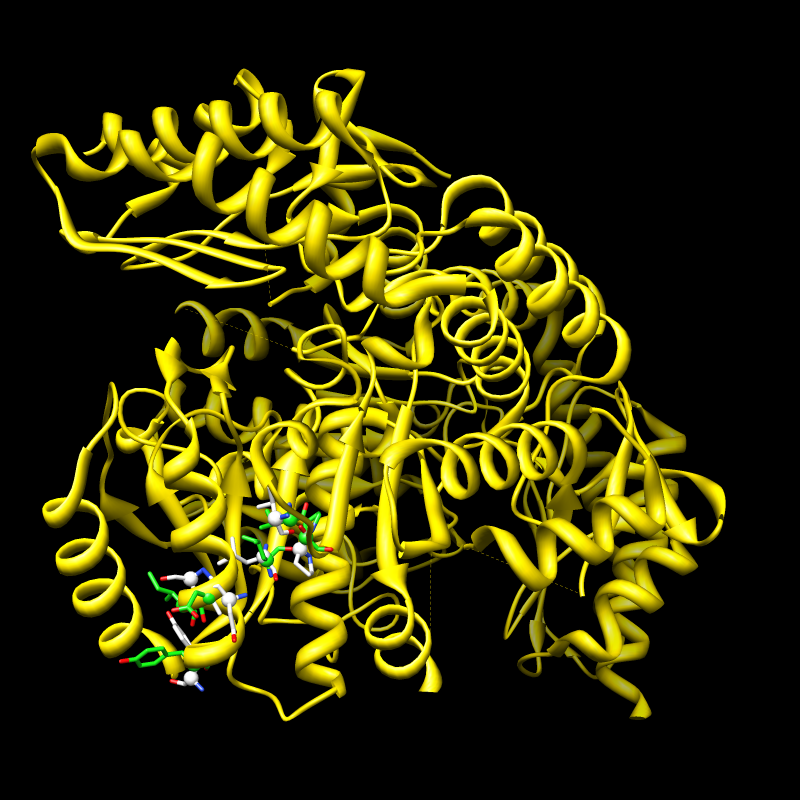 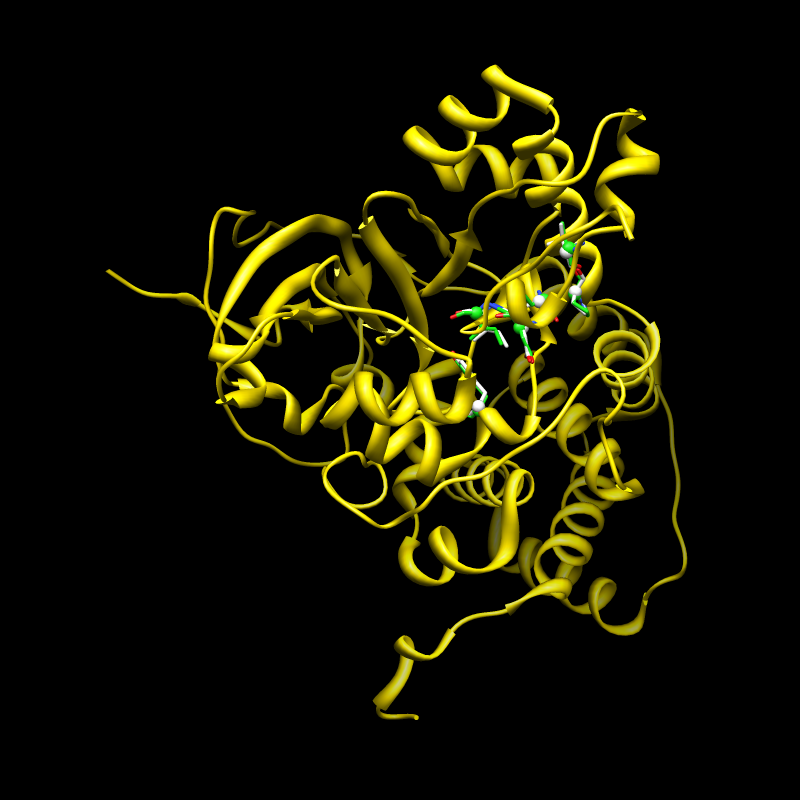 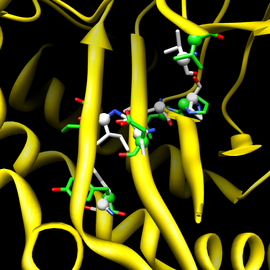 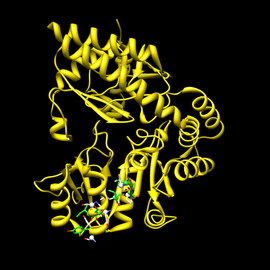 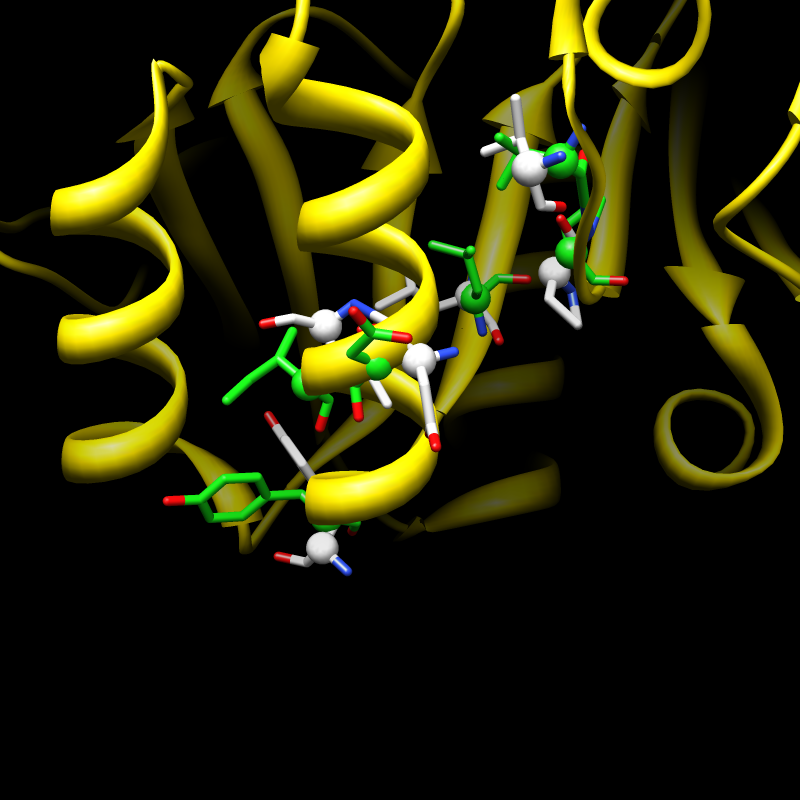 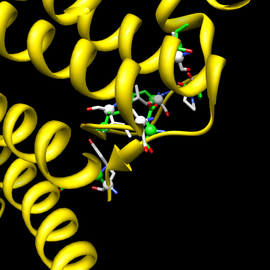 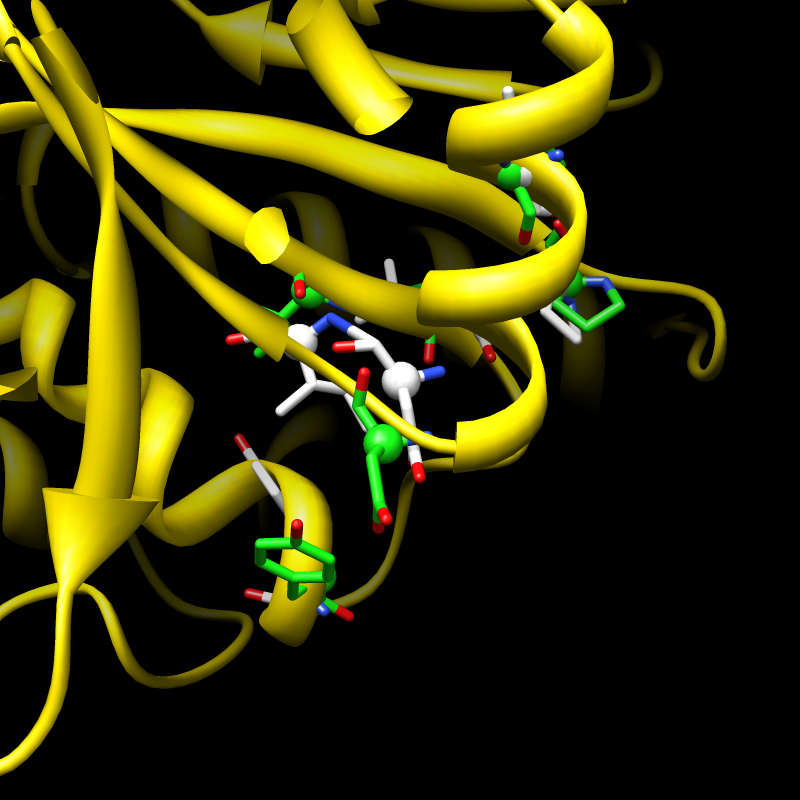 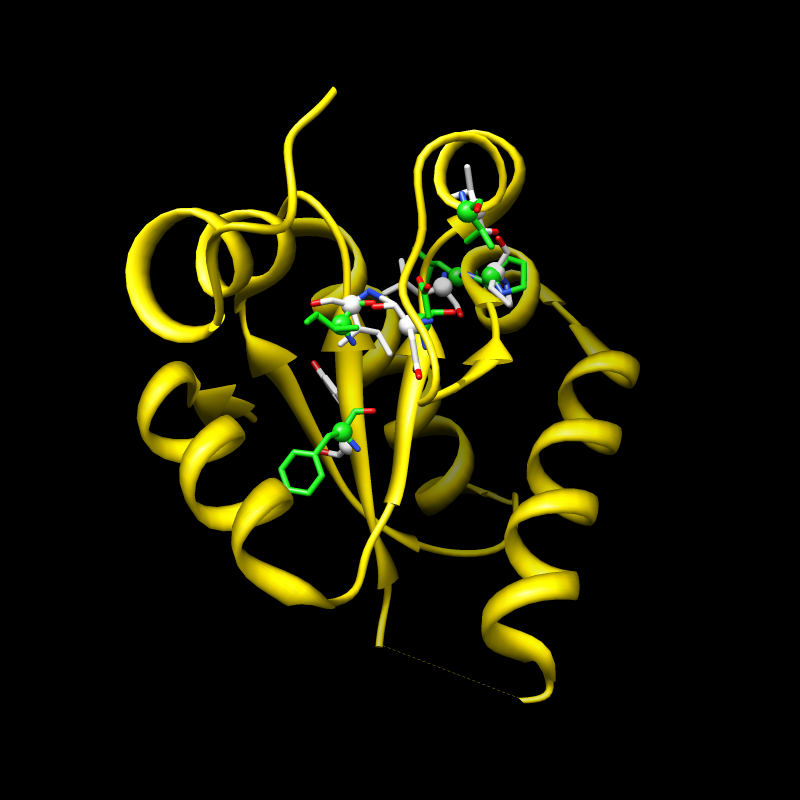 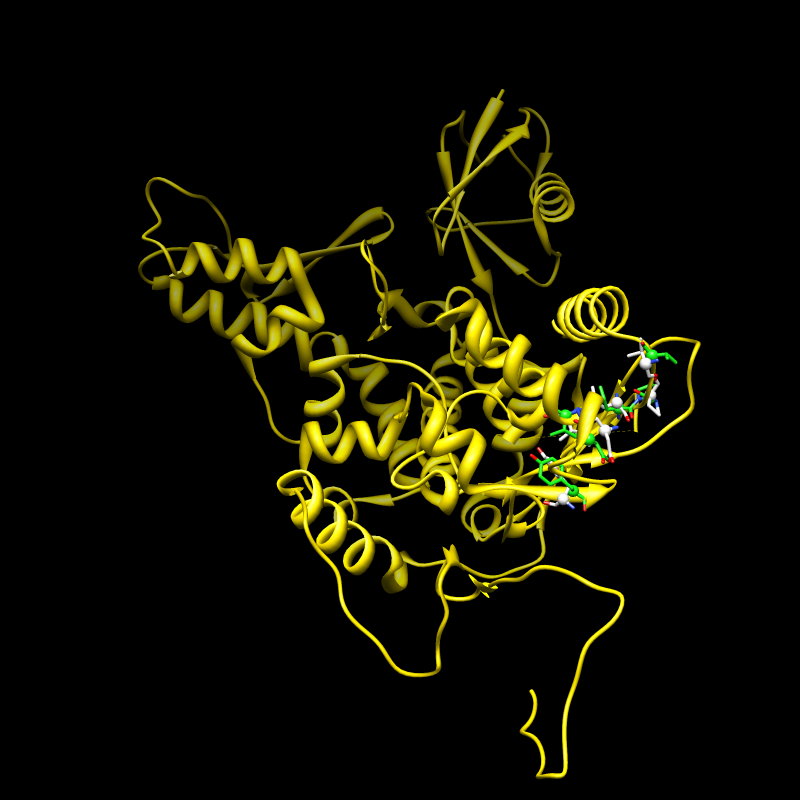 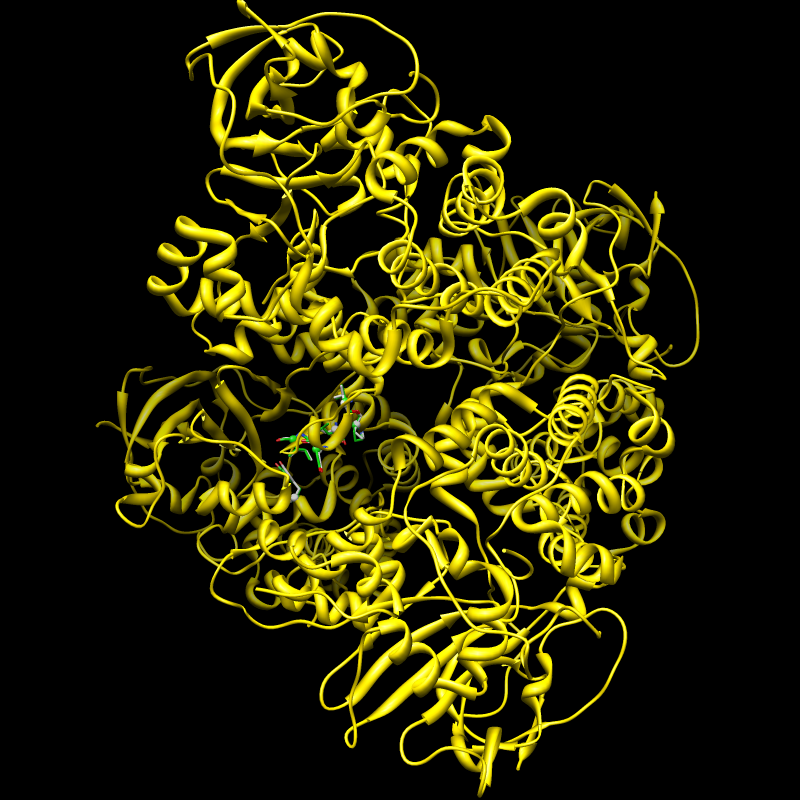 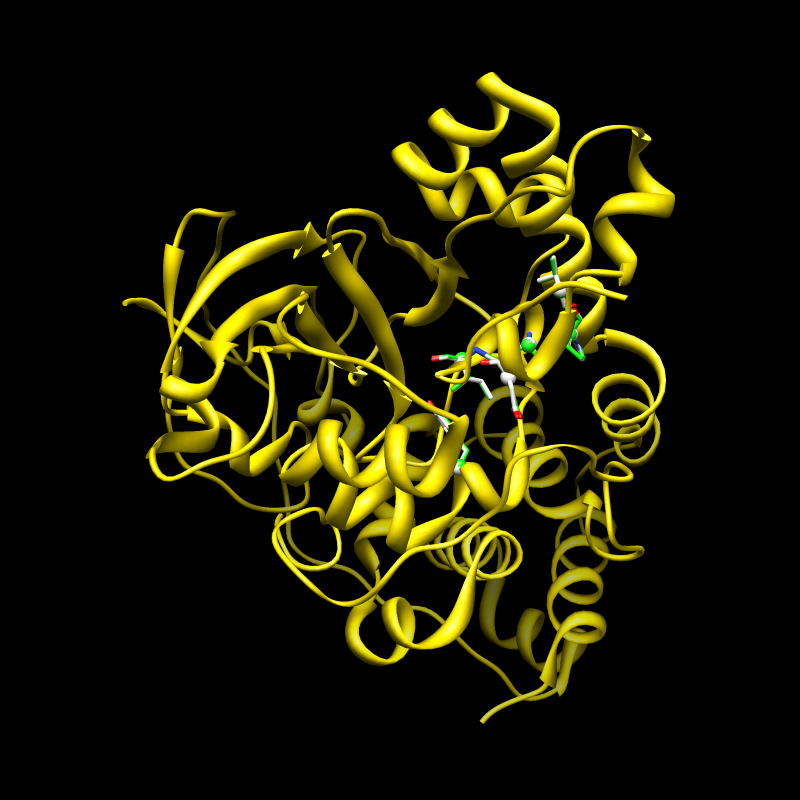 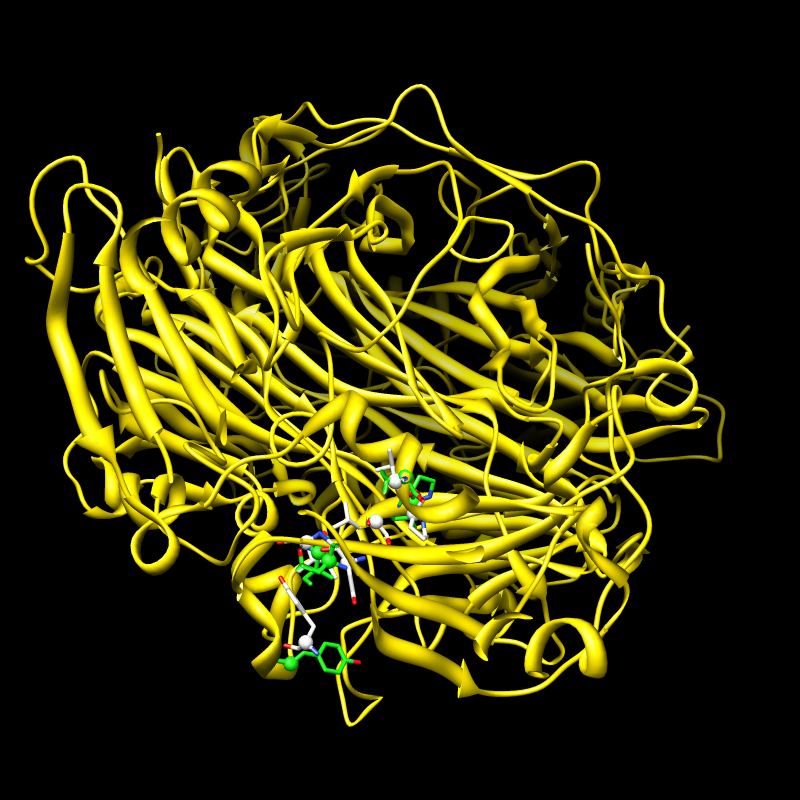 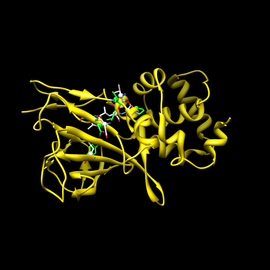 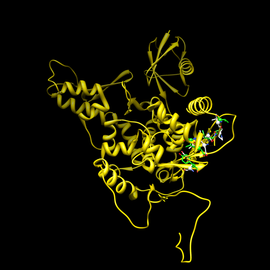 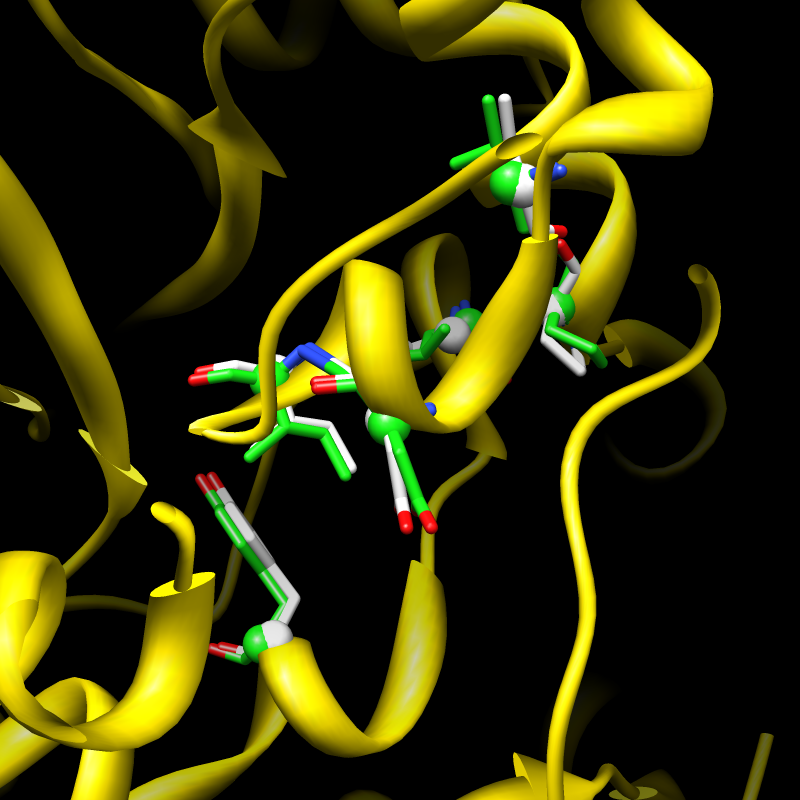 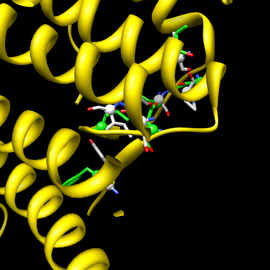 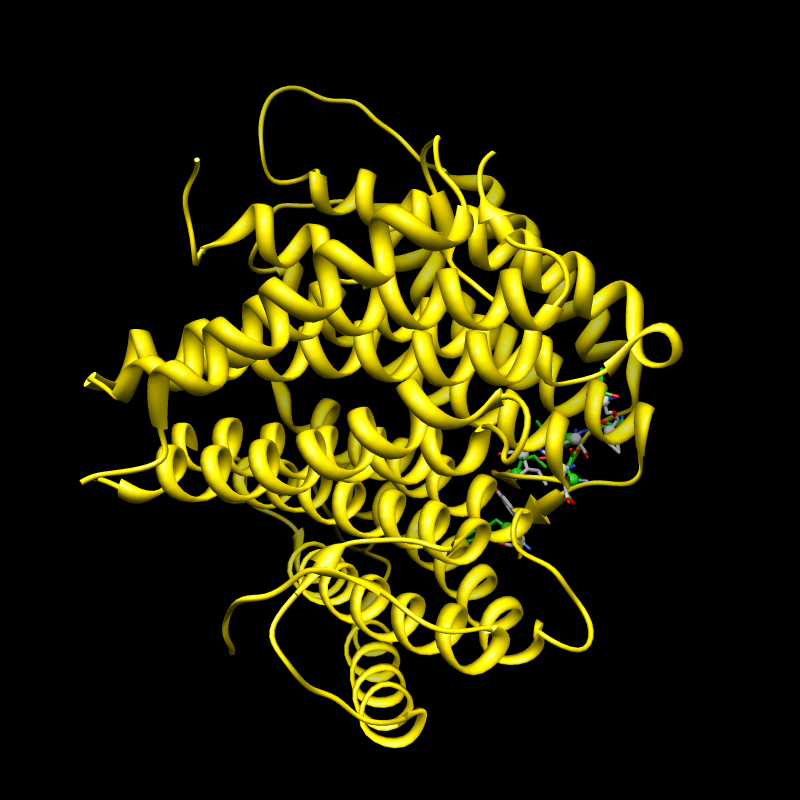 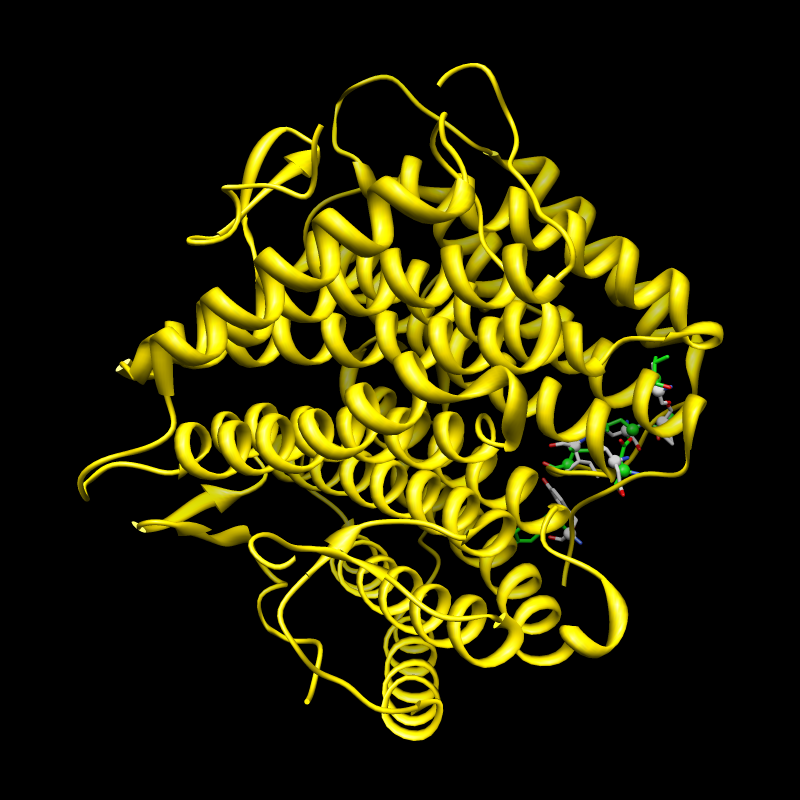 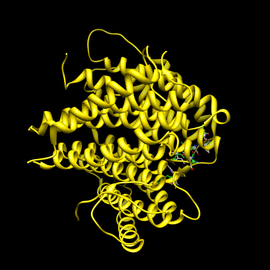 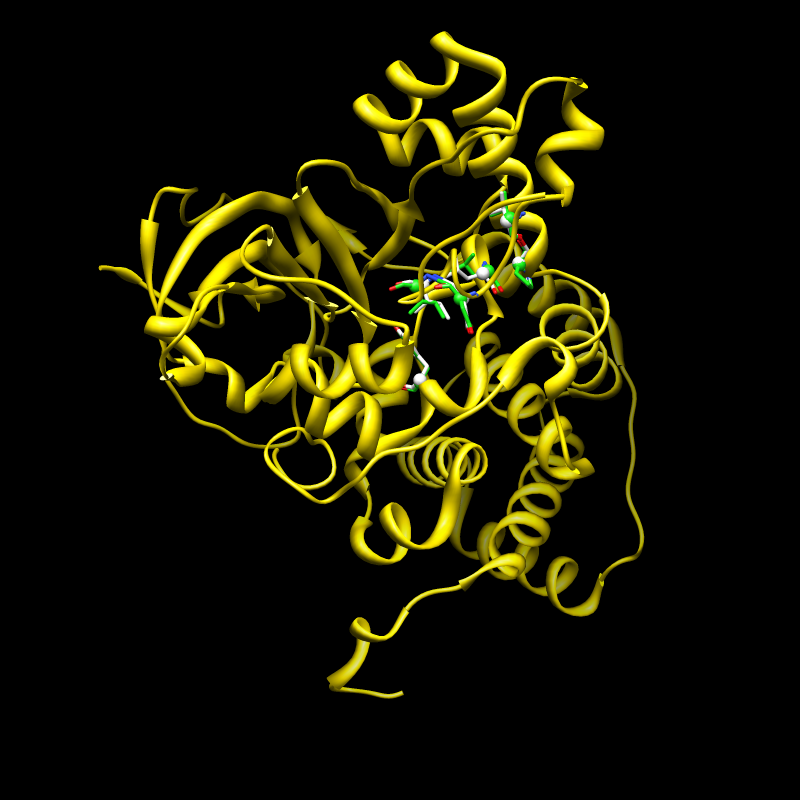 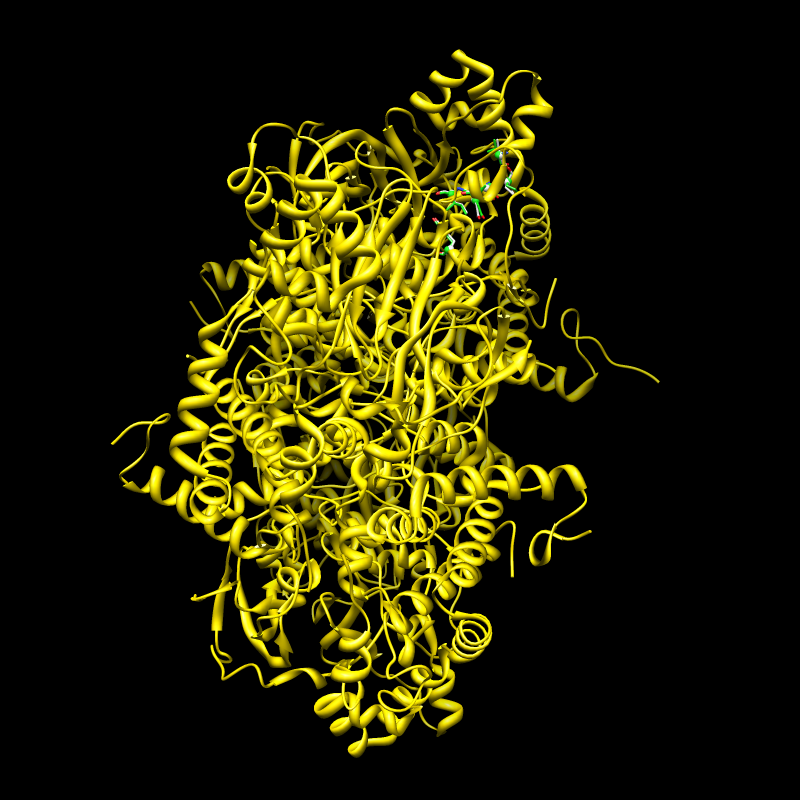 The rest of the matching protein is shown in ribbon representation. 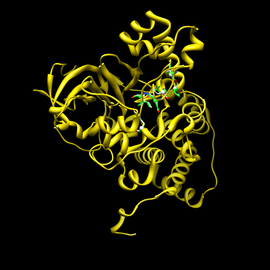 A zip file with PDB files for the top 100 matches and the motif itself. 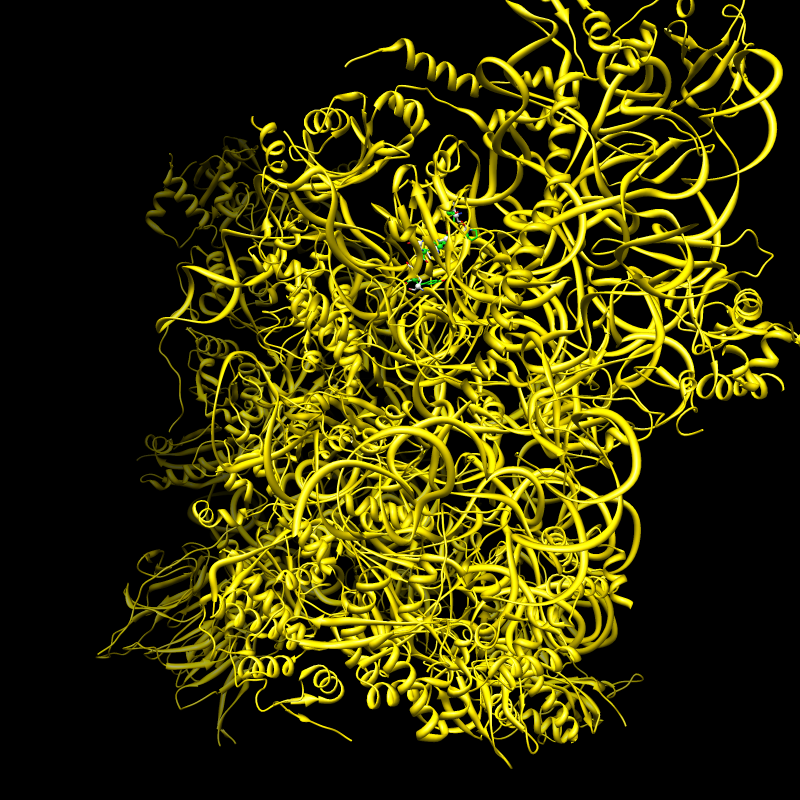 An XML file with all matches. 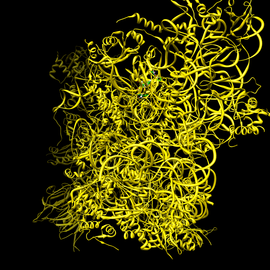 You can open this file in Chimera with our ViewMatch plugin. 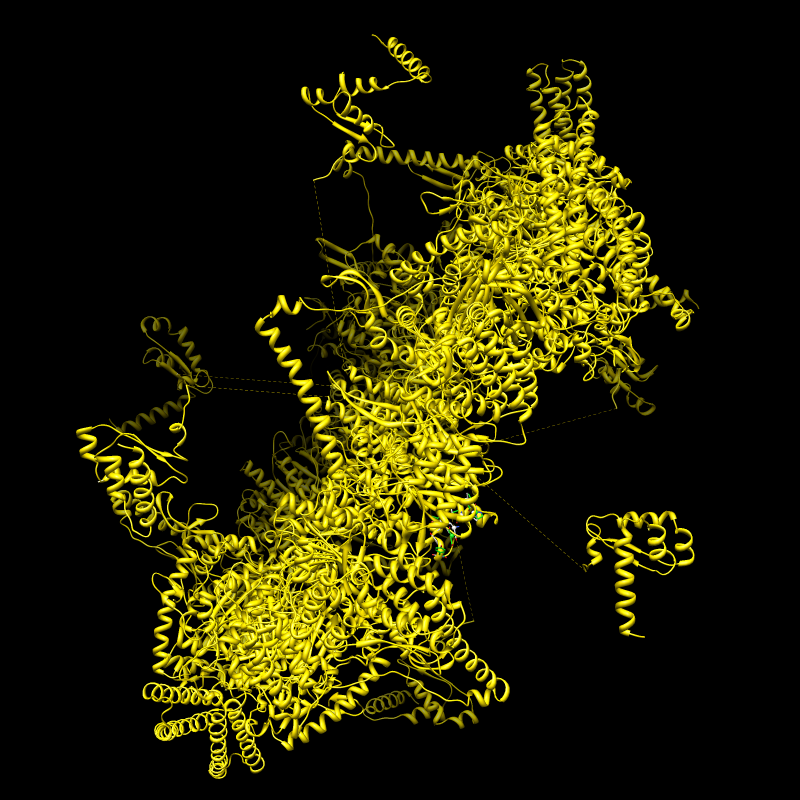 For each match you can click on the "[pdb]" link to download a PDB file with the matching chain aligned with the motif.